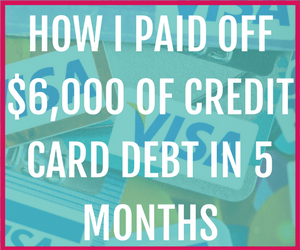 At the beginning of 2014, I actually had just under $8,000 worth of credit card debt. I wish I could say that once I realized I had so much credit card debt I paid it off really quickly. Unfortunately, that was not the case. I also wish I could say that it only took one big push to become credit card debt free, but that also isn't true. It took a lot of ups and downs, and a lot of trial and error to figure out the best way to handle my money to pay off debt. Here is my credit card debt journey. This is just one chapter of my debt payoff story. However, I try hard to celebrate each accomplishment on the way to becoming debt free; it helps to keep the daunting shadow of my debt at bay while also helping me to stay motivated. I got my first credit card when I was 16. It was an emergency credit card that my parents got me to not only have in case of an emergency but also so I could start to build up my credit profile. I fortunately never had the need to use it. Any time I did use it, it was just to keep it active, I always paid it off in full. My senior year college I got another credit card and again continued to use it responsibly, paying off the balance each month. Then I graduated and went to law school where I apparently lost any and all common sense. When I think about it, it's not that surprising, I clearly had to be out of my mind to take on the amount of student loan debt to go to school, but I digress. I got yet another credit card and begin to use it to pay for things when I was in between student loan refund checks. Believing I'd pay it off as soon as I got the check. Except I would never remember the money had already been spent. Instead, spending more which resulted in a partial payment (as I had to hold the rest of the money to cover the majority of my living expenses for the semester). Doing this semester after semester added up. I moved back to the west coast to help out and be there when people I loved were going through some incredibly difficult times. I in no way regret my decision, though financially it was torturous. I'm from a small town, and there wasn't much work for a JD. I ended up working two part-time retail jobs, even with that I couldn't quite make ends meet, which meant I turned to my credit cards. There is no justification for the way I used my credit cards when I was in school. However, I'm not at all mad at myself for using them to make ends meet when I was so hard-pressed from June 2011 until January 2013. What happened in January 2013? After taking and passing the bar in 2012 I ended up getting a full-time job. When I started my job in January 2013, I had $10,185 worth of credit card debt. Fortunately, my job paid fairly well, and I didn't have to stress nearly as much about my ability to pay my bills. One thing I did right starting in January was I stopped using my credit cards. This meant that so long as I was making the monthly payments I was in fact, lowering the balance albeit very slowly. The way my pay schedule worked then is that I got paid a salary, and I also had a small variable compensation plan. In my first real attempt at creating and sticking to a budget, I planned to budget the salary and put the variable comp plan as extra payments. I usually did make more than the minimum monthly payment on my credit cards. In that time I did manage to pay off one card. Though, I also fell back into the bad habit of setting aside that "extra" money for other things. 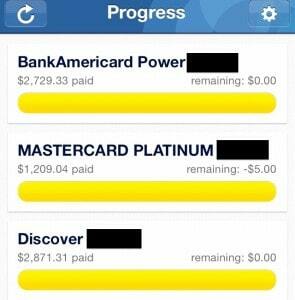 A year later in January 2014, I still had $7,805.91 in credit card debt. The reason my plan didn't work is that I didn't make that credit card payment the very first thing I did with that money. I let it sit there and be used for other things. Again it was a new year and so I had a new rush of motivation. I attempted the same plan, but again failed. I didn't make debt payment the first thing I did with the money. So while I did continue to pay them down, it wasn't at the rate I had hoped for, six months later I'd barely made a dent. It also hadn't helped that I had put $300 on my credit card; I still owed $7,500. Having to Make rent, Forced Me to be More Financially Responsible. Two months later in August as you know I only owed $6,177 which was a big drop from June. My financial awakening started in May when my roommates moved out. As things turned out, my new roommate wouldn't be able to move in til August. Meaning I was responsible for the entire rent for a full two months. I did the math and figured I could afford it without digging into my emergency fund. I just had to buckle down and cut my expenses. Related: Frequently Asked Financial Questions - How Much Do I Need to Have in Savings? The stress of paying the entire rent made me very aware of every dollar I spent. The real kicker was when I sat down and calculated how much interest per day my debt cost. My credit cards alone cost over $3.34 per day, that adds up to over $1200 per year! Sadly that is a drop in the bucket compared to what my student loans are costing daily. But it was a drop I could get rid of, so I then branched out to the internet. 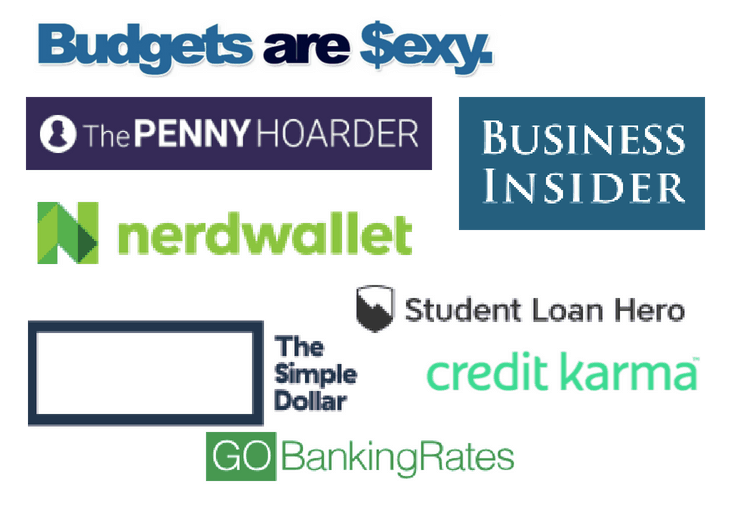 I discovered personal finance blogs and started soaking up information like a sponge. Using everything I learned I buckled down. I not only had enough money for the rent but I started making any extra money I got go directly to my debt. That is how I got to $6,177 in August. 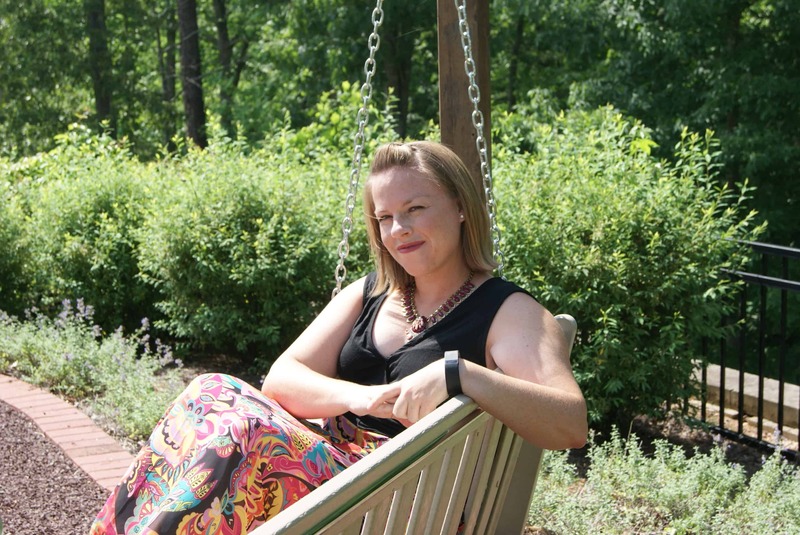 From there I hit a few other bumps in the road, including some unexpected costs coming up. But I had made being credit card debt free my number one priority and kept at it until I persevered. Less than six months later, I am officially credit card debt free! What is the -$5.00? I accidentally overpaid, I submitted a payment including pending charges, oops. Guess I'll go get $5 of gas with that card. Now that I have had time to savor the moment of being credit card debt free it's on to the next loan. The next goal is my Car Loan and Bar Loan. My bar loan is the only private loan related to my education. The balance stands at $10,518 with an interest rate of 7.75%. As it is a private loan co-signed by my parents, I have always paid extra each month. 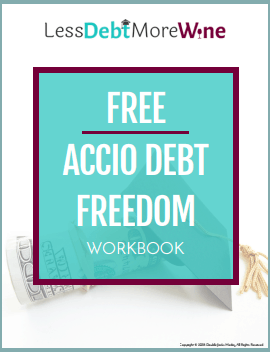 Are you debt free? Or at least paid off one part of your debt, how did you do it? How did you celebrate? sweet! I’m sure it’ll be gone before you know it. Can’t wait to celebrate again! 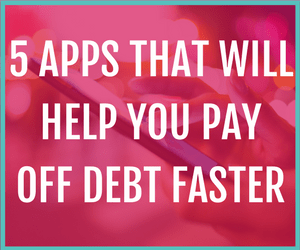 Congrats on getting out of credit card debt. 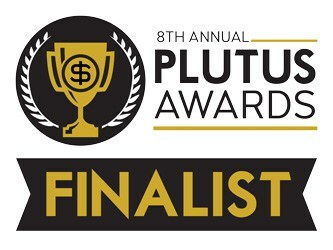 This will be huge for you moving forward in terms of your net worth and finances. Thanks! I’m excited to tackle my next debt, I’ve got some good momentum going now. CONGRATULATIONS! That’s awesome, and you seem to be well on your way to achieving the next big milestone. Way to crush that debt! Thanks! I’m such a nerd, I got super excited about my first extra big payment to my bar loan yesterday. Way to go! It always feels so awesome to pay off any debt! And I think it makes paying down other debts seem even more achievable too! Good luck with the student loans. Oh God, as I was reading through your post, I thought to myself how much you sounded like me. I also had that stupid Bar Loan (which was under my name), and I do have the credit cards, and I do know how much the interest is that accrues on my student loans every month, and it feels crippling. I’m now on the IBR plan because I don’t make anywhere near a lawyer’s salary and can’t pay them down the way I should. I know I will end up paying them for a lot longer now, but I’ve also calculated that in the end run, the lender gets less, and considering that I’ve already paid back the principal down and then some over the years, i don’t feel too badly for Navient. Thanks for the reminder, if not using, but paying more than the interest accruing every month, the balance IS going down. And congrats to you on getting your cc balances paid off so fast! Thanks! And I’m glad you have a plan for your debt, though keep in mind that at the end of IBR any “forgiven” amount is actually considered taxable income, so navient might not be getting everything back but the government gets a good chunk back. I know, and that kind of aggravates me! But I figure that time is so far out, and hopefully(?) the laws may change in the meantime. Also, between now and then, I plan on getting rid of the rest of my debt so can possibly come up with a way of paying off those taxes. Who knows how the tax laws may change? I’m also 44, so need to worry about retirement, so this allows me to keep putting something away in a 401(k). It’s not a lot but it is still better than nothing. When it comes to saving for retirement, every little bit counts!